After the US has invested more than $100 billion in Afghan reconstruction, life in the war-torn country is not so bad – at least not for a select few employees of the oft-maligned Task Force for Business and Stability Operations (TFBSO), who lived lavishly in taxpayer-funded villas. WhoWhatWhy readers are familiar with TFBSO, the Department of Defense (DOD) program through which a $43 million compressed-natural-gas filling station in the north of Afghanistan was authorized. 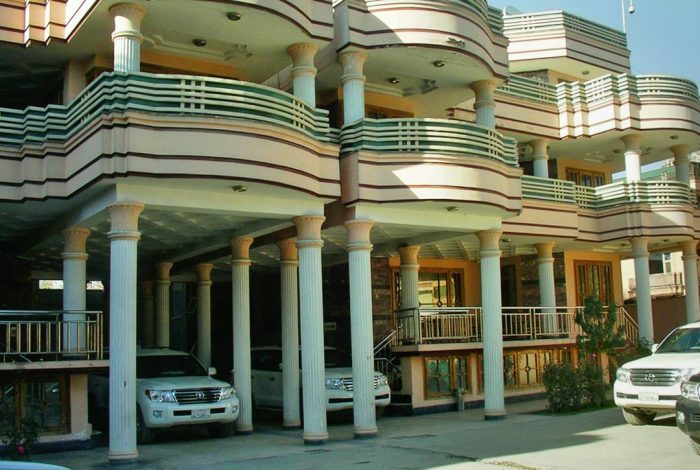 Now, the Special Inspector General for Afghanistan Reconstruction (SIGAR) is investigating the fancy and expensive living arrangements of TFBSO’s staff. The spending watchdog believes TFBSO may have wasted tens of millions of taxpayer dollars by allowing its employees to reside in private villas, which had to be protected by private security guards. “If TFBSO employees had instead lived at DOD facilities in Afghanistan, where housing, security, and food service are routinely provided at little or no extra charge to DOD organizations, it appears the taxpayers would have saved tens of millions of dollars,” Special Inspector General John Sopko wrote in a letter to Secretary of Defense Ashton Carter. The beneficiaries of this arrangement, in addition to TFBSO employees, were the Triple Canopy private security company, which received $57 million from 2010 to 2014; Defense Group Incorporated, another private security company, that was paid $51 million between 2009 and 2011; and Muscogee Nation Business Enterprise, which provided security services and received $40 million from 2009 to 2014. These companies also provided “support services” at the facilities — for example, flat-screen TVs in each room. All told,TFBSO spent nearly $150 million of its $800 million budget on private security and support services. Add to that a $43 million gas station and a quarter of the budget is gone. In his letter to Carter, Sopko seeks answers to several questions about the villas and TFBSO’s decision to use them. Specifically, he wants to know whether a cost-benefit analysis had been prepared leading up to the decision to use private residences. SIGAR also seeks information on whether the program succeeded in attracting foreign or local investors. Sopko has been highly critical of TFBSO in the past. In particular, he blasted DOD’s lack of cooperation on matters concerning the program, which is run out of the Pentagon. In response to a previous investigation, DOD said it could not provide information on TFBSO because the program was shut down in March 2015 and therefore nobody was around to answer questions. “Frankly, I find it both shocking and incredible that DOD asserts that it no longer has any knowledge about TFBSO, an $800 million program that reported directly to the Office of the Secretary of Defense and only shut down a little over six months ago,” Sopko wrote Carter in response. SIGAR is also investigating whether the Pentagon retaliated against an officer who raised questions about TFBSO’s lack of accountability. Sopko has pledged that he would continue investigating TFBSO until it was clear whether the people running the program were merely incompetent or whether the conduct of its staff or contractors rose to the level of criminal activity.